Finally it has arrived, the new collection Vintage Garden. This collection pictures a nostalgic summer, and I can’t think of any more summer like papers. 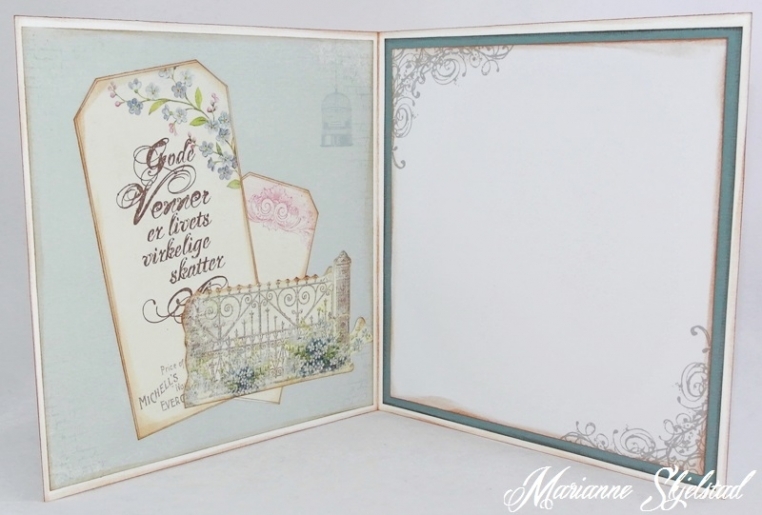 For my very first Vintage Garden card I have used the Image sheet and the fence is cut out from the sheet called Garden. For the inside I have used the remains of the fence and some beautiful tags.